Ecogenx Agriculture Recycling is a new company by a group of young entrepreneurs, based out of Canora, Sask. that focuses on recycling ag plastics. They launched in March of 2017 with phase one of their program, which focused on farm pick-up service and in less than a year have collected more than one million lbs of plastic (approximately 2500 bags). Currently, the pick-up stock is stockpiled in their yardsite as they get their production facility ready. Dallon Leger, owner of the company, was a farmer himself and knows how common it is to burn grain bags, which weigh approximately 350 lbs, as way of disposal. As of Jan. 1 2018 it’s illegal to burn these bags or face fines up to one million dollars. Those looking for an alternative means of disposal can now use this company with the additional benefit of knowing the bags will be recycled. Initially, Leger considered using processing facilities in other locations but ultimately decided to build their own production facility in Canora, Sask. with construction set to begin this spring. The bags will be shredded, washed and then melted down into pellets, which can then be used by plastic manufacturing companies. Along with a farm pick-up fee of .70 cents per km there is a fee of $10.00 per bag. They are currently set up to haul 30-35 bags per load. For larger quantities they offer a discount fee to help keep costs down. 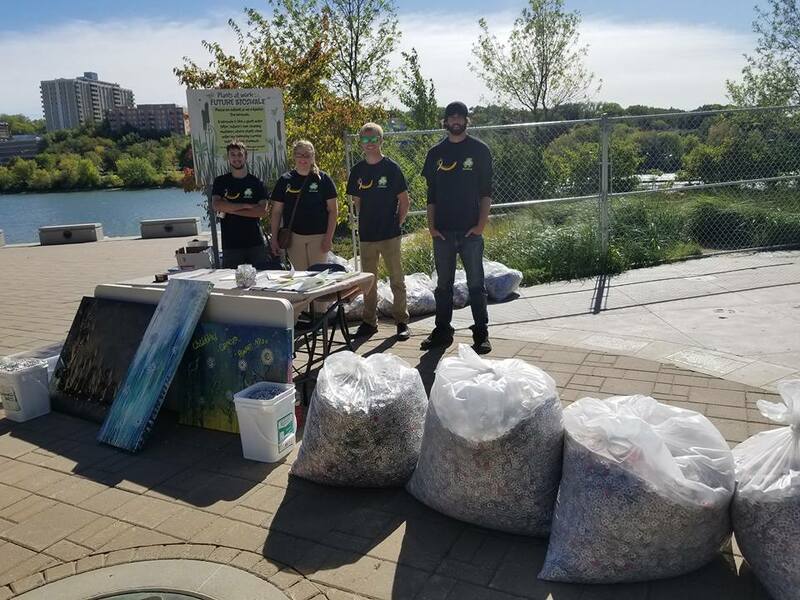 In addition to this service, the team started a charity program called Silver for Gold where pop tabs are collected across Saskatchewan with 100 per cent of the money donated to childhood cancer research. Last year, the company collected 1.3 million tabs, which equates to $608 dollars. They have set a goal this year of collecting two million tabs. Any schools that wish to get involved can collect tabs through the year and arrange with Leger a drop-off or pick-up plan.